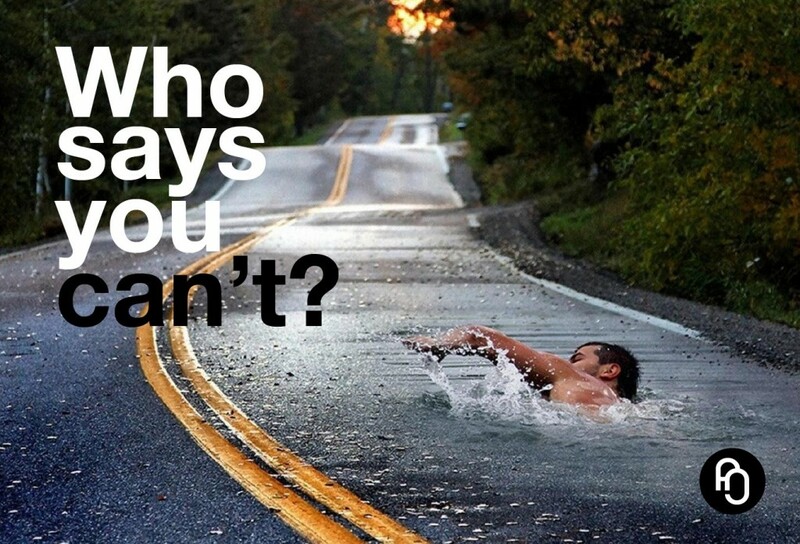 focusNjoy #76: Who says you can’t? This image is not mine, I don’t own the rights and don’t know who made it. But I’d like to thank the person who did because I love it! Such an amazing visualization of ‘the impossible made possible’. Ok sure, taking a plunge in the asphalt may be a long shot, but in general: no matter how tough the situation, no matter how big the challenge: you can find the recourses to deal with it. If not now, then later. Who says you can’t? Who are they? Do they control your life? Do they possess the wisdom to know exactly what you’re capable of? True, they may have the authority, the power or the experience, but in the end: they are not you. So unless you tell yourself you can’t, you can. Getting from here to there, transforming from this into that: it’s all a matter of change. Musician James Levine said: “A lot of people get impatient with the pace of change”, and I understand why. Because change can be an annoying slow process, right? But then change can also take us by surprise, forcing it’s way into our life too fast. Author Bruce Barton said: “Action and reaction, ebb and flow, trial and error, change – this is the rhythm of living. Out of our over-confidence, fear; out of our fear, clearer vision, fresh hope. And out of hope, progress”. And whether it comes slow or fast: all change is progress. 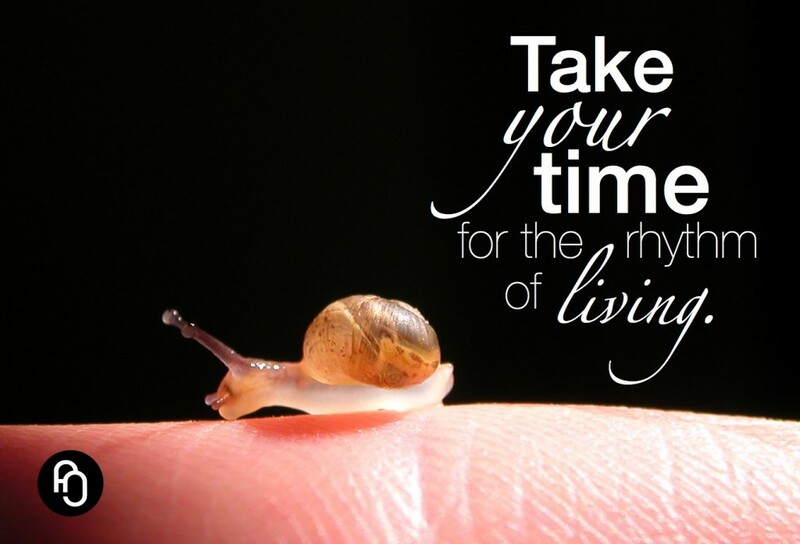 So let us be as patient as a snail, let us take our time for the rhythm of living. In an instant, like a blazing force, a thought can take control of the way you feel and act. 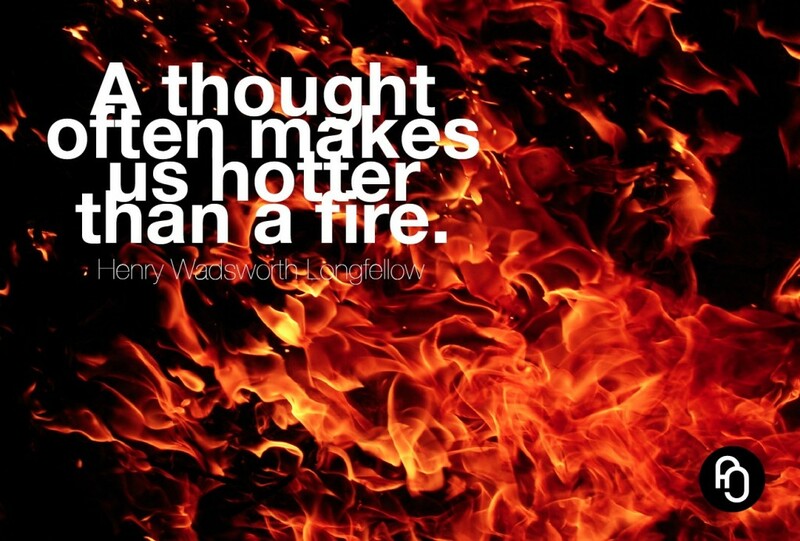 Poet Henry Wadsworth Longfellow said: “A thought can make us feel hotter than a fire”. By all means, thoughts are powerful: they manifest love and hate just as easily. Therefore knowing your own thoughts is essential. It’s the only way to make sure they don’t play with you, giving you the ability to play with them instead. And in knowing that ultimately you are not your thoughts, but that you only have them, you’ll find the door to peace of mind. Because thoughts will keep you busy, unless you tame them. Unless you’re drunk, it’s easy to walk straight. But when you’re blindfolded, or when you have no visual point of reference like the sun or a mountaintop, something funny happens: although you think you’re walking straight, you are doomed to walk in circles. And so a blindfold is a nice metaphor for unawareness. Being unaware may lead you to believe you’re walking straight, going from A to B, while in fact you’re going in (the same) circles over and over. Being aware is like putting the blindfold off, giving you the ability to really see where you’re going and to make conscious choices accordingly. You know that feeling when you don’t want to go to the gym, but then you go nonetheless, and then afterwards you feel totally great? 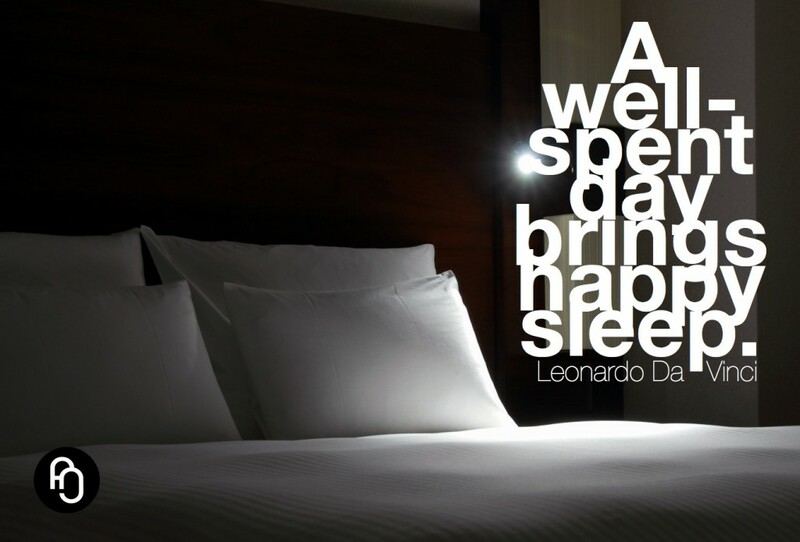 That’s what I was thinking when I read Leonardo Da Vinci’s quote you see in the image. I found another, similar quote by Da Vinci: “As a well-spent day brings happy sleep, so a well-spent life brings happy death”. Now, I don’t wanna die or anything, but I think we can all agree with the following idea: ‘To feel good later, do good now’. So, the question for you is: what do you think will make you feel good later, and what do you need to do now, to make that happen? And in doing so, you will automatically feel good now. For now is then, and then is now. Don’t let the road in front of you misguide you. It may let you think it is the only way, keeping you from exploring the infinite directions you can choose from. And it may let you belief that you need to go somewhere, while in fact you are always right where you need to be. If you don’t like where you are just follow your creativity, and wherever you decide to walk, a road appears. 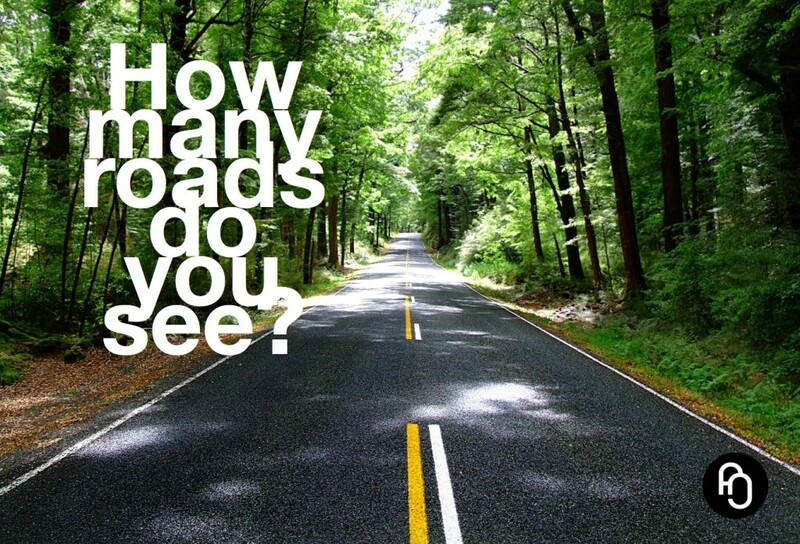 Your road.